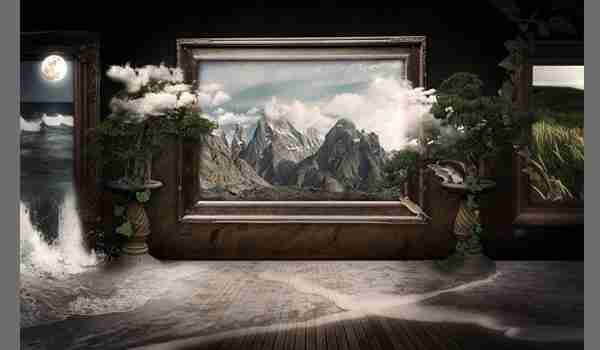 When you create a fantasy scene, the result should give a mysterious and thought provoking impression. In this tutorial, I will show you how to make a life-like surreal museum scene that comes to life. You will learn some tips on perspective and depth of field, using brushes and blurs, and how to effectively combine a variety of images from different sources to create a cohesive work of art. The keys, you’ll find, are mastering lighting and effective combining and blending of the images you use. You will also gain some insight into my thoughts and creative process. Suitable for photoshop beginners, this tutorial will take between 1-3 hours to complete. You will need knowledge of basic photoshop features, such as tools, layers, layer modes. Click the image to get started.